It’s no secret that residential construction in New York City is booming, and it’s become conspicuously obvious that size – most notably height – is paramount. In 1932, the Central Park view from the Essex House 431 foot high 43rd story penthouse was described as “an unbroken vista, unequaled anywhere in the city.” Today, it’s become routine for new residential buildings to ascend more than 1,000 feet. 432 Park Avenue, being advertised as the “tallest residential building in the Western Hemisphere,” will soon top out at 1,396 feet, 146 feet higher than the 102nd floor Empire State Building Observatory. 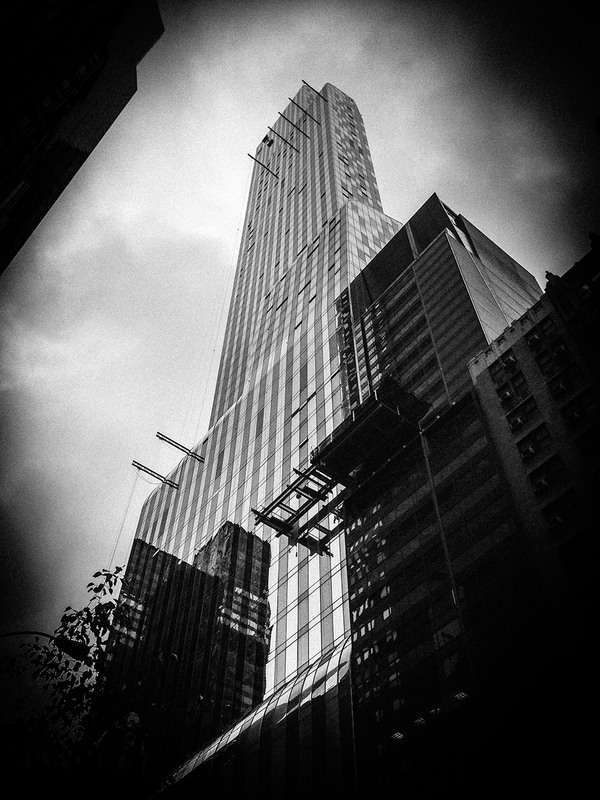 221 West 57thStreet will rise even higher to 1,423 feet, a NYC residential record. 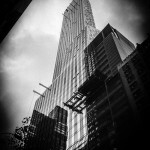 Given the near-stratospheric heights of new and planned residential high-rises which dwarf most commercial skyscrapers, why does New York City persist in exempting residential buildings from Local Law 26 Reference Standard 6-1 rules mandating installation of fail-safe, non-electric photoluminescent signs and pathway markings in egress stairwells? Why should the evacuation of a high-occupancy 40, 80 or 100 story residential apartment house be less orderly and efficient than evacuating a 75 foot high commercial building in which RS 6-1 compliant photoluminescent egress markings are required? Photoluminescent safety pathway markings and signs have proved to enhance and facilitate building evacuations during fire and power blackout emergencies. Requiring no electrical, human or chemical intervention, these fail-safe markings glow spontaneously when light is dimmed or extinguished and illuminate a clear path to guide fleeing occupants safely down stairwells and out of the building. Once light is restored, the photoluminescent markers and signs automatically recharge. Hasn’t the time come for New York City to place the safety of residential building occupants on a par with commercial building tenants?